The Brainwave Entrainment Audio contained herein is for tapping into Prince Orobas. The frequency used is Delta, with a musical accompaniment, which will hasten your mind for his conjuring and place you in the right state for his presence. 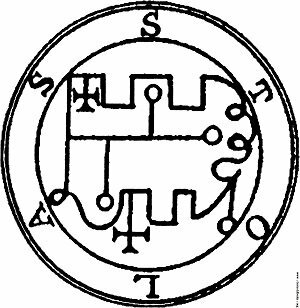 He is a Great Prince of Hell, commands twenty-six legions of demons, and teaches astronomy and the knowledge of poisonous plants, herbs and precious stones. He is also known as Stolos and Solas. He is depicted as either being a crowned own with long legs, a raven or a man.